We have all heard the phrase “you are what you eat” but it is surprising how few people take that ethos into to account when it comes to products they put on their body. Tara Smith (www.tarasmith.com) developed her hair care range because hair, like the body, is only as good as what it is fed. If you “feed” it with the purest ingredients and keep it hydrated it will be at its optimum. Makes sense….and she did not stop there. I first discovered Tara Smith at Marks & Spencers. I say I discovered it, but it was actually my daughter who brought it to my attention by squawking loudly and pointing at the birds on the packaging. Upon closer inspection I was delighted to see how Fifi Friendly this range was. After I purchased a couple of products, I went home to look up the brand on line and I like what I read and was surprised by the celebrity clients…. it was like a who’s who of beautiful hair… Jessica Alba, Angelina Jolie, Orlando Bloom, Demi Moore… you get the idea. 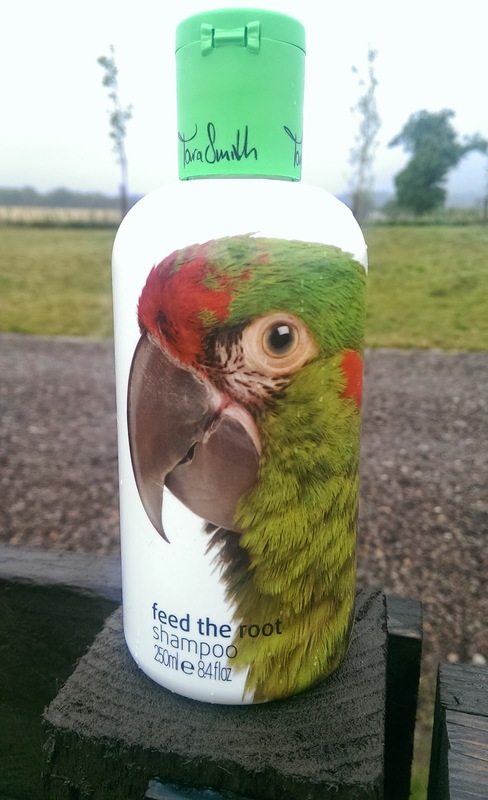 This brand has become my go to hair care brand and I am an avid fan of the Feed the Root Shampoo and Conditioner. Last week my hairdresser commented that my hair feels the best it has done in years and I now spurn using the hairdressers serums and bring in my own Tara Smith Base Coat Serum for when I get my hair cut. 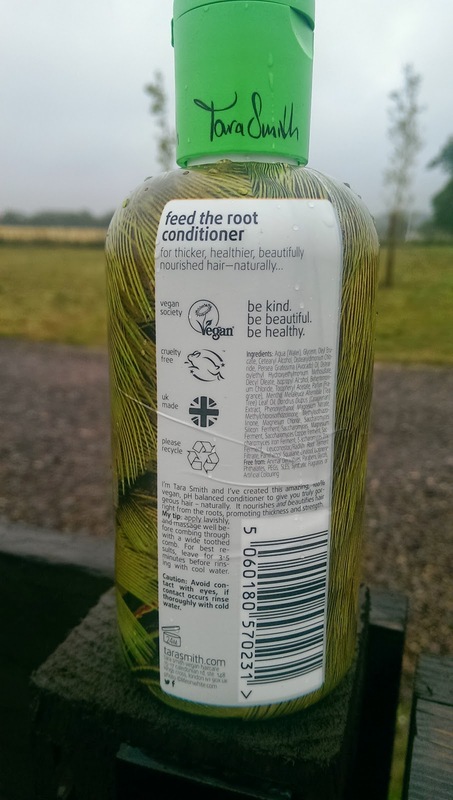 Tara Smith Feed the Root Shampoo and Conditioner are noted on the bottle as being “for thicker, healthier, beautifully nourished hair….naturally”. If you don’t feel your hair comes under this category do not let this stop you from buying the product. This pH balanced shampoo has nourished and strengthened my “naturally bleached by the sun” at my hairdressers hair to my delight. I have gone from having bi-polar hair that could not decide if it was oily or dry but would always have breakages, to hair that has minimal breakages, dries easily, sits awesome, has a lovely shine and feels incredible. I take it with me everywhere. 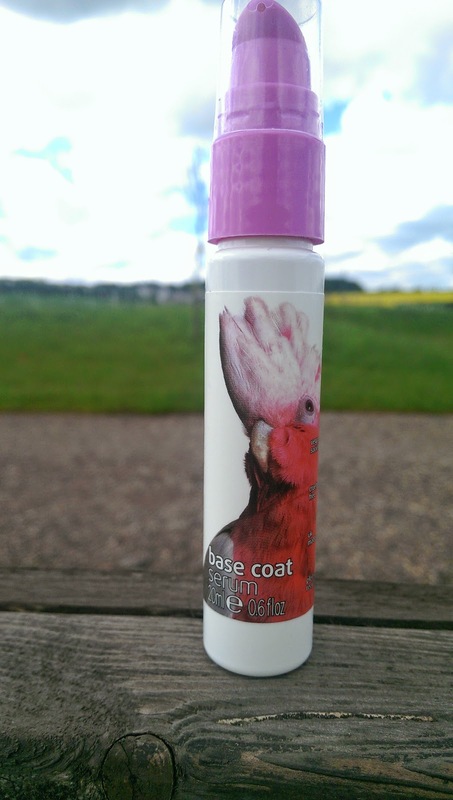 I use it on the kids and have recently passed it over to a lovely friend who is looking to get her post pregnancy hair back under control. The minty aroma is really refreshing and my scalp, that would sometimes feel itchy if I used a too strong a conditioner, now is calmed. The range includes 4 shampoos, 4 conditioners and 3 styling products. 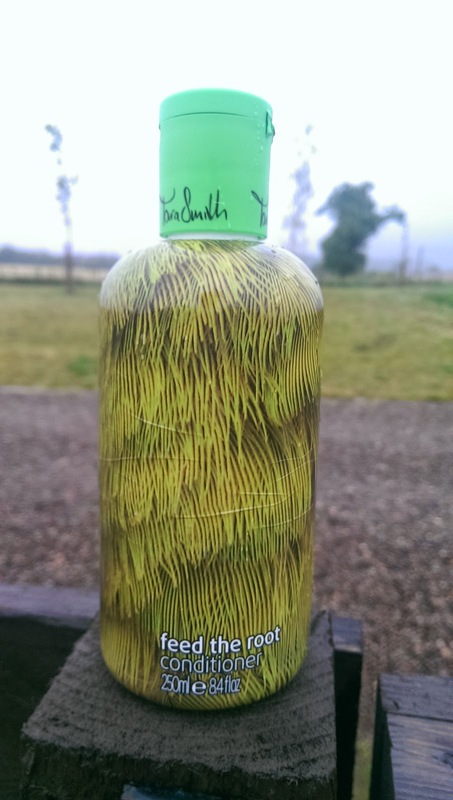 The matching shampoos and conditioners are co-ordinated in design by an exotic looking bird. The Feed the Root for example is a green with a parrot on it… I suspect my brother will probably pick me up and say it is not a parrot but another bird, so lets just call it a parrot for now. Love the designs, they are eye catching and look great in the bathroom. This is 100% a 5* Fifi Friendly product. I always have it in the bathroom and you can buy very conveniently sized travel sets as well. Thank you Tara for giving me my hair back.